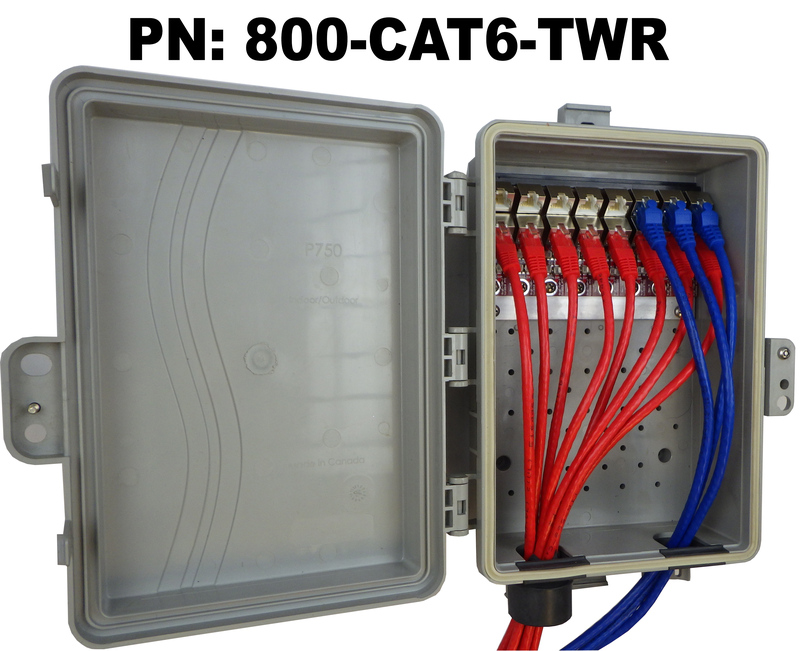 Protect up to 8 CAT5/c circuits with one device. This multi line protector is designed for outdoor use. It is suitable for tower or wall mounting. This device is designed to protect equipment such as APs and SMs installed at NOCs or tower sites where a number of devices are colocated. This 100% Gas Discharge Tube version has the least amount of loading of all of our surge suppression products. While slightly slower than our other solid state products it is more robust to ground sourced noise. 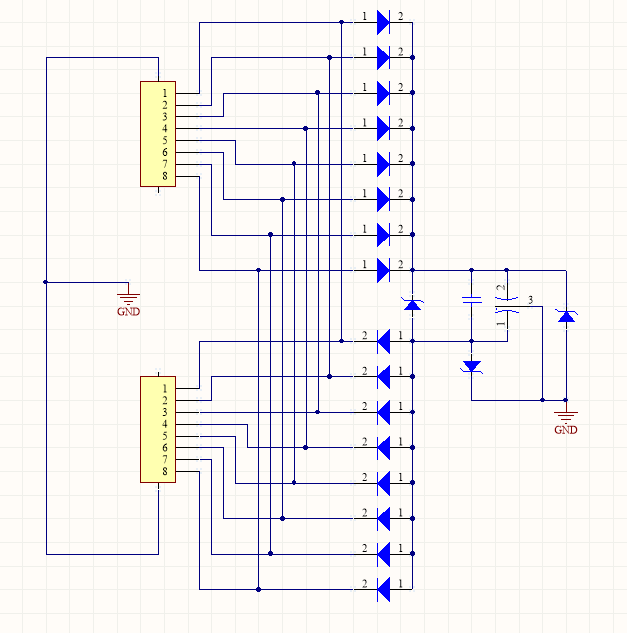 If CRC errors or Frame Check errors are being caused by a solid state surge suppressor this device will cure that problem when swapped for the solid state device. Grounded and bonded shielded RJ45 jacks provide grounds to shielded plugs. Individual surge suppression modules can be replaced.